General Atlantic-backed IBS Software Services is looking at an initial public offering to give its principal PE investor an exit. The investor and the promoters of the company would dilute up to 20% stake in the public offering. In 2006, General Atlantic had invested $60 million for a minority stake in the Kochi based IT services company. 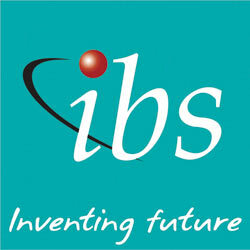 IBS is now being valued at $350-500 million (Rs 1,897 crore to Rs 2,710 crore). The company is in talks with investment bankers for a possible IPO as they are targeting a listing towards end of the current financial year. The promoters too will dilute some stake through this offer. Naresh Goyal-led Jet Airways has inked a deal to sell 24 per cent stake in the country’s second largest carrier to Abu Dhabi-based Etihad Airways through a preferential allotment for $379 million. Etihad Airways has confirmed the acquisition of a 24% minority stake in Jet Airways for $379m. This followed a statement by the Indian carrier earlier before that its board had approved the allotment to Etihad. The Abu Dhabi-headquartered airline will also make a $150 million equity investment in Jet's frequent flyer programme and spend $70 million to buy Jet's three pairs of Heathrow slots through the sale and leaseback agreement. As part of the deal Jet is to establish a hub in Abu Dhabi and expand its reach through Etihad Airways' global network. The deal marks the first such investment by a foreign airline since India liberalized rules last September permitting Indian carriers to offer as much as a 49% stake to overseas partners. Sunil Bharti Mittal, Chairman and Group CEO of Bharti Enterprises, has been appointed as the Vice-Chairman of the International Chamber of Commerce (ICC), one of the world's oldest global business organisations in April 2013. He expressed his happiness in a statement by saying that “It is an honour to be chosen for the role of Vice-Chairman at ICC, a prestigious organization dedicated to spreading peace and prosperity through trade since 1919. I look forward to working with Terry in this capacity.” Mittal becomes the third business person from India in the history of ICC to be appointed on the ICC Executive Board. Prior to Mittal, late Bharat Ram who built Delhi Cloth Mills (DCM), was the first Indian to be appointed as the Chairman of the ICC Executive Board and Late Hari Shankar Singhania, President of J.K. Organisation was appointed to ICC. Sunil Dutt, Managing Director, of Research in Motion India Pvt. Ltd, makers of BlackBerry phones, has quit from the company within a month after the launch of BlackBerry 10 OS and the Z10 in India. This comes as a surprise to all especially after listening to Thorsten Hein, CEO of BlackBerry, speak about the effect or strength response received to Z10 after two days of its launch in India. BlackBerry sees India as a major market for its products and is already facing change down words in market shares to bear this shock coming their way. BlackBerry is also dealing with the Indian Government’s pressure on providing it the access to the unique PINs of all BlackBerry devices across the world for security reasons. To regain BlackBerry's share Dutt had told that the company would expand to new towns soon and would be available in 250 locations in India, up from the present 80. Now, it will be for another person to ensure that BlackBerry 10's initial success converts to long-term growth of the company. In the interim, Rick Costanzo, Executive Vice President for global sales, will take over the leadership of the team in India.